Spirit of Resh Foundation is dedicated to Lois Joy Myers and David Lynn Akard. Love is the connective tissue between all life. Life is precious. This moment is all we have. Respect for all life creates vital, healthy communities. The purpose of human life is to love, learn, grow and serve. 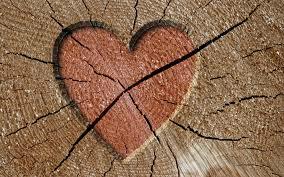 Honesty, expressed with compassion, builds intimacy and trust. Forgiveness is a path to healing. It is up to each of us to make the most of the circumstances we are given by life. Trusting in the connection between that which is seen and unseen transforms fear into love. With a Master's degree in Culture & Spirituality, and thirty years as an ordained non-denominational minister, Lily has made a career of guiding people to build meaning and purpose from the most challenging of life circumstances. Lily has been a hospice volunteer manager, the program director of a modern day mystery-school, and executive director of a non-profit family camp. She says, "I am so proud to be the Director of Spirit of Resh Foundation, dedicated to the memory of my sister, Lois and brother in law, Dave." Using story as a force for healing in her southern Oregon community through Resh, and in her work as a soul-guide for clients at her Sanctuary in Applegate, is how Lily keeps Lois and Dave's spirits alive, and ensures that her own heart is continually re-invigorated. For Sally, the Spirit of Resh Foundation is a living memorial to the legacy of love left by Lois and David. As Lois and Lily’s elder sister, she was both distraught and inspired by Lois and Dave’s extended cancer journey and untimely deaths. Fueled by the two emotions, she imagined a world where renewed life purpose could spring from honoring death. Her knowledge as a long-time educator combined with her non-profit board experience led to co-founding Spirit of Resh with Lily. From the beginning Sally cheered from the background as the emerging Foundation took shape. Now, retired from her multi-faceted career in higher education, she continues to be a creative champion of Resh and is proud to serve as the current Board Chair. It is a deep privilege to serve as Treasurer of Spirit of Resh Foundation. Through my service, I know that I am supporting others as they walk the path of grief and begin to translate their loss into legacy. I know firsthand the value that our programs bring to those in the midst of grief, having experienced losses of close friends and family. I’ve worked in the financial industry for nearly 25 years, and bringing my business skills, as a source of fiscal support to the Spirit of Resh Foundation is a pleasure. Our values, in particular, honesty, love and respect, are core beliefs for me and I am honored to be part of the work that is Resh. 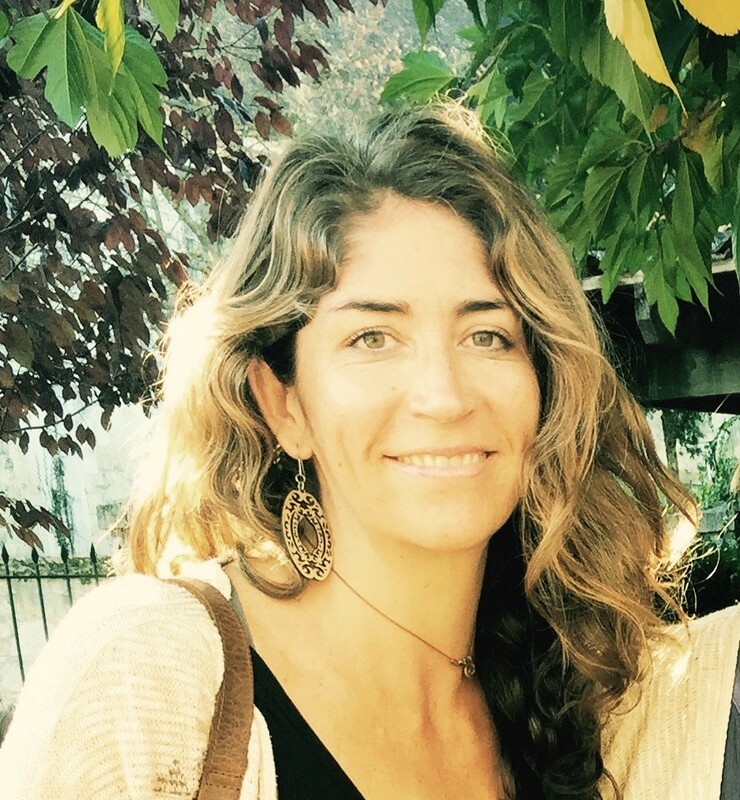 Megan is an Associate Professor of Special Education at Southern Oregon University, and a holistic educator who uses story and breath to explore the human condition. Her son, Keita, died in 2012 from complications due to Bipolar Disorder. This loss has deeply affected her personal and public identities, leading Megan into research on how grief affects teaching and learning. With a PhD in Multicultural Special Education, Megan's 17 years of teaching in private and public schools is a solid foundation to her emerging emphasis on using story for re-writing grief-stories. Megan says that, "The Spirit of Resh Foundation's premise of trusting in the connection between that which is seen and unseen underlies how the magic of story—and creatively exploring my son’s death—has helped me transform fear into love and discover healing within my own mourning journey." Mary Ann loves living in and being of service to the Rogue Valley community. With a background in education, youth mentoring, and facilitation, she brings a grounded, calming presence that helps others feel safe and supported. In service as a Certified Home Funeral Guide, hospice respite volunteer, and Spirit of Resh board member, Mary Ann is passionate about the cultural shift that is happening around living and dying. Mary Ann says, "I envision acommunity where we all know what to do for each other around death and dying, and I am honored to be part of creating that in the Rogue Valley." As often as possible, you will find this woman out exploring wilderness areas with her husband David and their pooch Cody. Elizabeth’s profound confrontation with loss opened her genuine curiosity around the metamorphic power of death and sorrow in individual lives. Her Master's degree in Community Planning and Not-for-Profit Management has taken her around the globe. Spending extended time in places like India, Guatemala and the South American continent, she's become fascinated in how cultural and social contexts serve to shape understanding of the mysteries of life and death. She’s passionate about the integration of death literacy initiatives in local communities for encouraging honest dialogue around the complexities of the dying process, and draws upon her experience of managing Global Learning Service programs for an east coast university in facilitating those conversations. She currently lives in Bend, OR with her partner, David, and their dog, Pai. Since ancient times people have gathered around a central hearth to listen as stories are told, revealing where we come from and how we are bound to one another. Every culture or community and every family or group of friends has its unique stories, told over and over with laughter and tears. These stories form the very foundation of our being, helping us discover, ever more deeply who we are. At Resh we experience, time and time again, the power of storytelling to heal. The audio stories found in Passing the Torch: Stories of Wisdom and Legacy and the videos of Lily reading stories from Two Rare Birds: A Legacy of Love honor ancestors and reveal a path to transforming loss into legacy. We invite you to listen and watch some of our favorites, below.. Passing the Torch airs monthly on KSKQ, Ashland, Oregon's community run radio. These stories come in the form of conversations that offer inspiration for building a relationship with death that informs life. Tune in on the first Friday of every month at 89.5 in Ashland or 91.4 in Medford on the FM dial. If you aren’t local you can STREAM HERE. Two Rare Birds serves as a beacon of hope for the grieving heart. It is breathtaking to discover how much inner strength and peace can be found while facing difficulty and death. Two Rare Birds is Spirit of Resh founder Lily Myers Kaplan's story of wandering through the shadow-lands of grief toward a restored sense of purpose. Follow Lily's path in Two Rare Birds as she discovers the profound power of love and the beauty in all cycles of life. Lily Myers Kaplan's memoir, written with an unsentimental devotion to truth, is a guide through the underworld of loss and into the chamber of renewal. It is a testament to love and an enduring statement of fidelity to what matters most in life. By leading us through the great hall of sorrows Lily enables us to find the courage to discover who we really are, where we belong, and what is sacred. This book is a lantern in the dark. Read it and find heart. Two Rare Birds is an enchanting story of love, grief and wisdom that deeply moves the heart in unexpected ways. The spirtual transformation that is potential in the journey with cancer and the encounter with death is illuminated in these pages. Let Lily Myers Kaplan's words inspire you to realize the compassion that you are. "...a refreshingly honest examination of death and of our culture's treatment of it...when the memoir narrows its focus to the interwoven forces of love and death, it offers readers a powerfully hopeful perspective." 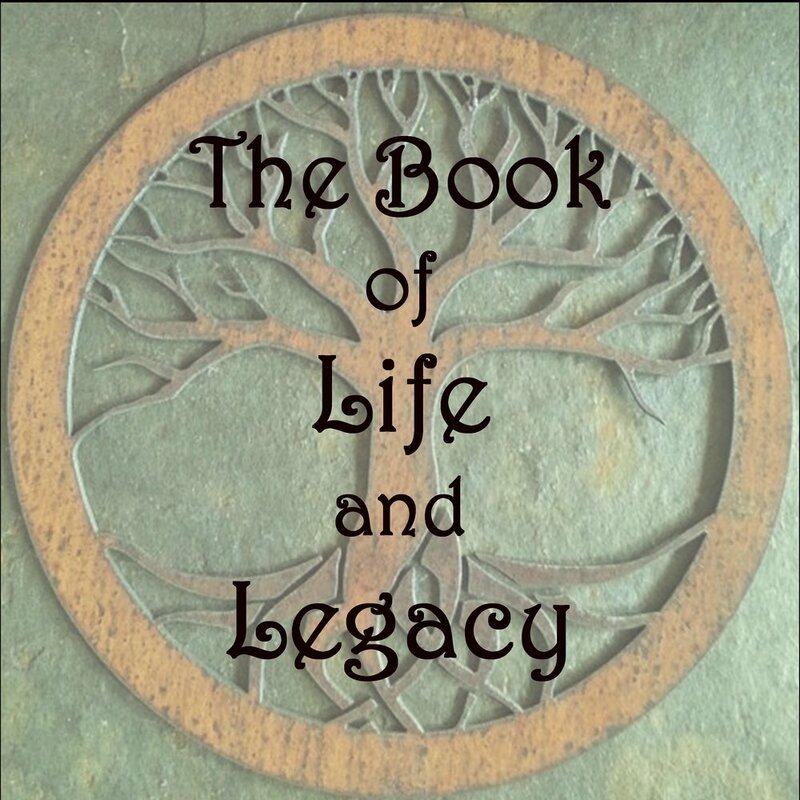 The upcoming book, Loss to Legacy: A stepping-stone journey of healing and transformation is underway. We are aiming for publication in 2019 and we'll let you know when it is available for purchase! The book combines personal stories with a step-by-step workbook—a path for conscious mourning. Using the symbolic Greek myth of two goddesses, Persephone and Demeter, as a guidepost, author Lily Myers Kaplan maps the territory of a descent into grief and a re-emergence into new life. As Goddess of the Grain, Demeter’s grief, when her maiden-daughter is abducted into the underworld, is so all consuming she withdraws completely. Winter falls upon the land. As Demeter slowly finds her way to healing, Persephone, while hidden from sight in the underworld, matures from Maiden to Queen. With newfound wisdom Persephone emerges, Demeter celebrates, and Spring burgeons upon the earth. Thus the two Goddesses become keepers of Earth-cycles and and teachers of the Mysteries of life, death, and rebirth. They are guides to the arduous task of healing and transformation. Woven throughout Loss to Legacy are are tales of transformation—Lily’s, and those of others—the many clients and students of Resh’s Loss to Legacy courses and Story Circles. Loss to Legacy Story Circles are offered locally and nationally wherever people want to transform loss to legacy. Creating a meaningful celebration of the life of your loved one is an honor Spirit of Resh takes very seriously. Whether you lean toward the traditional or the alternative, in-the-home or in-a-chapel, at the cemetery or in the great outdoors, we will accommodate your wishes. Having officiated as a non-denominational minister at all manner of memorials and life-cycle celebrations for the past thirty years, our founder, Lily Myers Kaplan, gives her full attention to eliciting stories which most truly honor your loved one. Understanding that each human being is unique, Lily creates services which honors that individuality and helps you find meaning and healing in the process. Dedicated to stories of loved ones, The Books of Life and Legacy are virtual memorials filled with stories and images that honor ancestors of all shapes, sizes, cultures and histories, connecting us in a shared experience of love and loss. They remind us that by every choice we make, and every action we take, we are passing on what matters to us, thus creating our own story and our own legacy every day of our lives. May each story help you to remember the oneness that underlies our shared humanity. We invite you to open the book as if gathered around a virtual hearth. Add your loved one to a book of life and legacy today. It's easy to do; just call us to schedule a story interview. We promise not to overwhelm your mailbox! Signing up with your email address will ensure that you hear about Resh's upcoming events. Thank you for joining the Resh news!